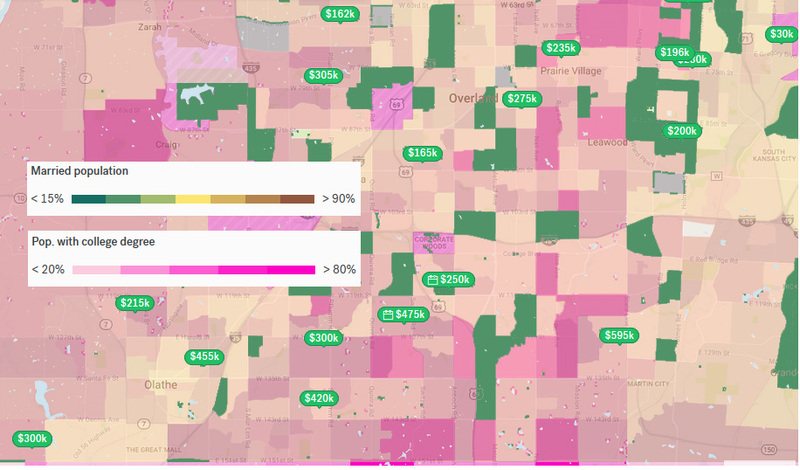 I thought I would post some of the analytics I've been looking at for the suburb area. While it is not the metro area, I believe it is pertinent to many of the discussions. I noticed a few things, such as the stark contrast between never married populations that's apparent at the state line. Not clear to me why that is the case. Because I would really like to live in the downtown area, Plaza and Crossroads at the top of my list, I also looked at traffic history on Google. 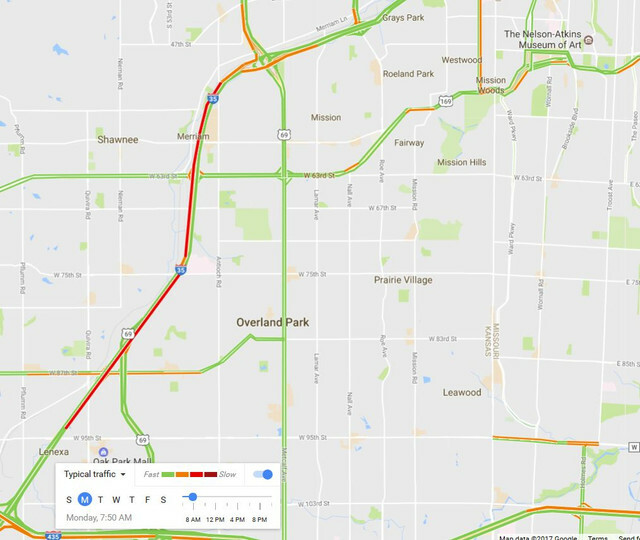 Considering a reverse commute, it looks like there's a bit of a bottleneck on the 35 between the 69 and 75th street. Would be interested in hearing if anyone has sat in this particular stretch of traffic. While it doesn't come close to California traffic, I'm not sure if this is something I'd want to sit through 5 days a week and still have higher rent than the suburbs. 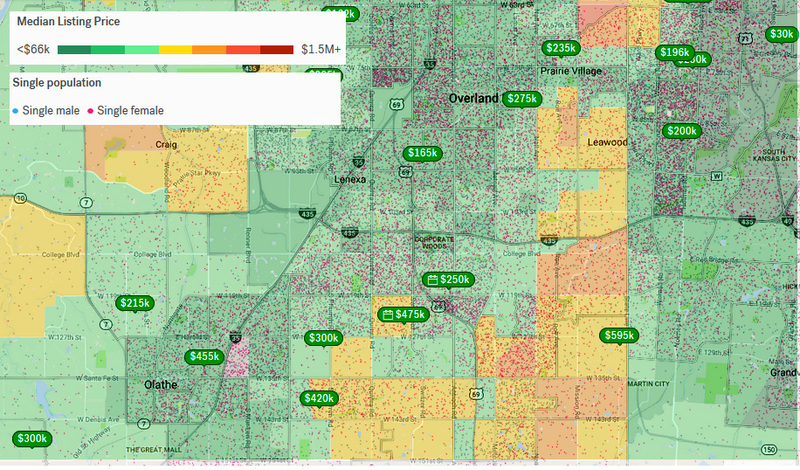 The pocket located by 119th is where I happened to stay for my short tour in KC. I did enjoy being so close to all kinds of shopping and restaurants, but besides that I'm not sure what the draw to the area would be. It depends. I used to do the reverse commute, and it's only bad at this spot northbound from 4-6pm. It's probably about a 5-10 min delay at it's peak. If you work flexible hours you'll roll through no delay after 6 or before 4. Personally, I wouldn't do it unless you can work flexible hours and not drive this at 5pm. If you can't, I'd just live in South OP or Olathe if you work there. The reverse commute is only getting worse with many people moving downtown but practically none of them actually working there. Interesting data all around. I work close to that bottleneck. 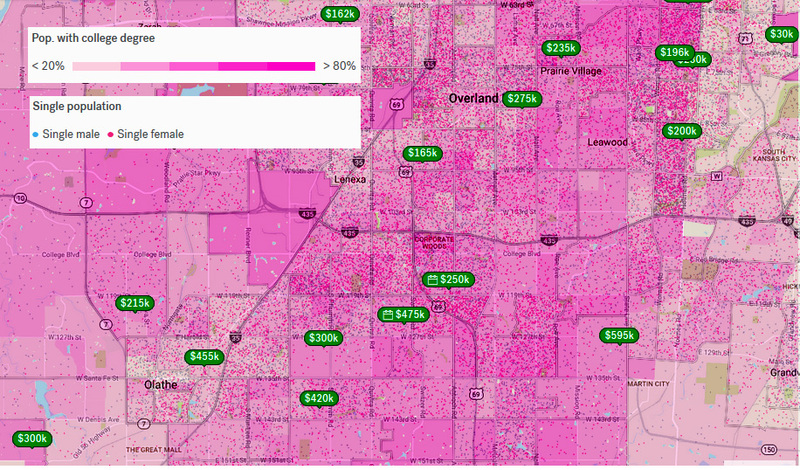 Before I lived on the Plaza, I lived in Lawrence and commuted to Merriam. I did that for nearly 6 months and overall the commute wasn't terrible. I-35 will always slow down from Metcalf Ave. to about 69. Traffic will increase in the coming years, but as a Californian it's not much of a hassle. You'll probably be more annoyed by clueless drivers that for whatever reason can't merge well. 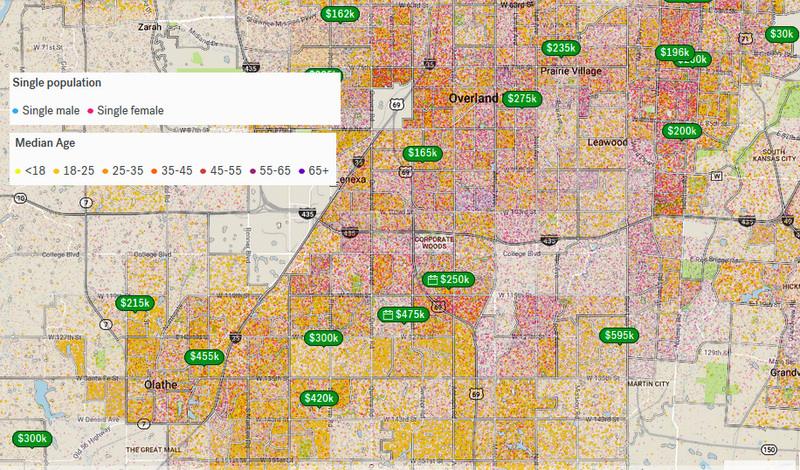 Lastly, if you live in the OP area and are younger, you may be driving to KC quite a bit for nightlife. Although downtown OP is growing, I wouldn't recommend auto-centric suburbia unless you prefer that type of lifestyle. In the end, city living and suburban living have their pros and cons. Good luck!